We welcome this guest blog by Dr. Allen G. Gruber, an esteemed Pain Management physician double board-certified in Pain Management and Anesthesiology. 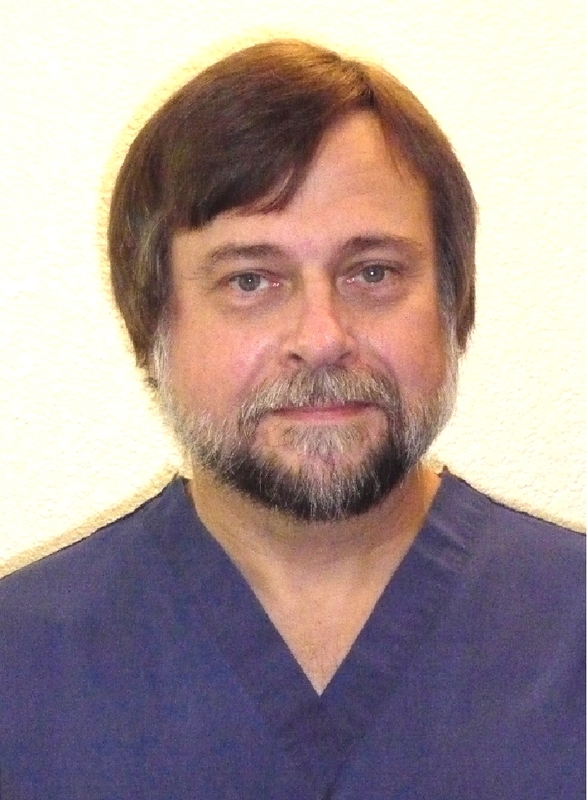 He was the first NIH Pain Research Fellow in Neurology and Anesthesia at the University of California, San Francisco. Besides his B.S. in biology and M.D. degrees, he also holds an M.H.A. in hospital management and health systems planning plus an M.S. in Health and Medical Sciences from U.C. Berkeley. Recently a California primary care colleague attempted to send him a difficult pain patient requiring medication management – his response letter was so juicy, and refreshingly candid, I couldn’t help but ask him to share it here. That most ancient Hippocratic charge to provide relief from suffering is, in my humble opinion, epitomized in Pain Management practice and principles. — and— Long ago, my Master’s training in health care administration taught that disparity between authority and responsibility is the first symptom of a sick organization. I have been asked by Pain Management colleagues to share the following e-mail in a larger forum to expose what I believe to be a significant downhill spiral in clinicians’ ability to properly care for pain patients. The e-mail below attempts to describe the merest tip of an iceberg of linked problems that have beset the Pain Management clinical community over the past several years. It also tries to express the increasing emotional anguish I feel while working far to too many hours under far too much stress trying the feed a parasitic bureaucracy (not mostly the government, but more and more the vast corporate bureaucracy) while striving to help suffering people. Recent agenda-driven policy initiatives in form of “guidelines” imminently threaten to cast pain treatment norms backwards by 30 years or more and resurrect and re-brand, in the process, long-debunked myths about pain and pain treatment that a reasonable and rational person might have thought were laid to rest long ago by scientific advances in the neurophysiology and neuropharmacology of the human pain response. The e-mail was prompted by an request from a local community clinic director and Family Practitioner to accelerate the acceptance of a patient into my practice bypassing a 3-4 month backlog of new patients awaiting care. His patient was not untypical of the “train wreck” patients my practice and reputation seem to attract. Over years, I became a regional destination for patients suffering from complex chronic pain that resulted from multiple traumas and/or ≥ 1 failed surgeries, multiple mutually-reinforcing pain generators, plus multiple and/or severe concurrent systemic disease(s). My use of a “railroading” metaphor is not a prejudice or a judgment upon these very unfortunate people. It is merely descriptive. This particular patient was briefly described to be obese, totally disabled, suffering from multiple causes and sources of pain, on high-dose opiates for many years, currently 200-mcg/hr fentanyl per 48-hrs plus breakthrough pain oxycodone. He had a frequent rate of emergency room and ICU admissions for seizures when he overused his drugs then detoxed when he ran out early, being predisposed to seizures by cerebrovascular disease which, in turn, underlay cognitive impairment which predisposed to poor Rx compliance, detox and more seizures. In short, he was another example of patients who suffer from multiple and mutually reinforcing vicious neurophysiologic cycles that so typify chronic complex intractable chronic pain patients. So it’s obvious that this patient is not ideal clinical material for fitting into the high-efficiency industrial model of medical care that has been thrust upon us physicians over the last 15-20 years. A key sentiment in my colleague’s e-mail was, “Appropriately, no one at our clinic feels comfortable prescribing these doses and we have referred him to pain management.” Comfortable? Between the lines this reads as “paranoid” about attracting surveillance and sanctions. And, to be fair, how would a Family Physician seeing 30-40 patients per day find the time to tease apart and cope with the bolus of tangled problems embodied in a patient like this? I very much regret to have to offer you to a cautionary (also cathartic) tale and overdue call to arms. Here’s the reality of the current situation. I am months behind on screening and scheduling new patients. The usual traditional reasons apply as ever they have: chronically miserable, depressed, multi-factorial, often multi-systemic disease, i.e., train-wreck patients much akin to Mr. H. all take oodles of time to diagnose and treat, especially during the first 3-6 months of measures to stabilize and optimize their regimen. Even when they reach meta-stability, PCP’s most often do not want to take them back for maintenance care, so they pile up in my practice, never to leave, and this always take lots of time (*Tar-Baby Syndrome). Growing like an aggressive neoplasm has been a rising wave of egregious and obstructive insurance and regulatory interference in the rational practice of my specialty, and in most of the rest of medical practice. This has been inevitable as Big Insurance learned to fine-tune the process of squeezing the most, on-paper, evidence of efficiency for maximum profit retention; and as Gummint-run programs and non-profits were beaten and prodded into C.Y.A. documentation of efficiency and efficacy for self-protection against politically-inspired accusations of inefficiency or “fraud-waste-abuse”. And it remains a sad fact that neither my train-wreck patients nor ethical Pain Management standards of practice come close to fitting in with the dominant and increasingly industrialized model of care being rammed down our throats. It’s totally crazy. And… I am totally unsurprised. I have (with my pre-medical career in health care system planning) been presciently watching this deconstruction of Medicine coming on for over 20+ years, and dreading every minute awaiting its arrival, now crashing down around our ears. The only amusement in it has been watching how clueless doctors have been, scurrying around in futile efforts of personal rice-bowl preservation, inevitably failing, as ≈90% of physician standing, authority and —now— even ability to function professionally outside of a large corporation-look-alike business, has been wrenched away one rivet at a time until the vehicle of American medical care is rolling to a wheezing halt, stripped of most of its substance in the pursuit of infinitely greater corporate profit. Check the latest WHO stats on developed countries’ national health care system rankings to see where American medicine is coming to rest. In civilized socialized=evil countries, patients like Mr. H are put into inpatient programs with multidisciplinary teams that address intertwined systemic disorders per bio-psycho-social principles, which leads in many cases to improvement in life-quality and function. then rehabilitation to a degree made rare-to-impossible in our system. In the frontier backwater of 1882 that is now the once great and admirable US of A medical system, even with the spit-in-the-ocean that is Obamacare, we are rapidly regressing back to the ancient tradition of punishing those who suffer through increasing denial of care. More, cost-reduction measures and rationing are being dressed up as a “solution” to a manufactured national opioid prescribing “crisis” that has quickly been exploited by money-men for the bling it offers in lowering 3rd-party cost for drugs and more profits all around, including the drug-prohibition industry. The solution to Mr. H’s misery is astonishingly simple under this new regime. The new policies make “pain management” child’s play that any clinic can implement. There’s no longer a need for making referrals to fussy pain specialists who “overprescribe” opiates, each and every one of them (ask a California trial attorney; they’ll confirm it), and are to blame for the massive epidemic of opiate-related deaths that now about equals the number of NSAID related deaths each year (google it; per the CDC it’s true). The PCP (a/k/a prescription control partner designate) simply needs to follow Chapter 1, verse MPRP4059, in the Holy Book of Practice Guidelines, and prescribe 120-mg morphine or equivalent per day for all chronic pain cases. In case of complaint, the patient need simply be handed a form letter with a verbatim quotation from MediCal/PHP *TAR denials that, “…doses above 120-mg (of morphine or equivalent) do not provide more effective long-term analgesia…” (than do higher doses). Never ever. Can’t possibly happen. Don’t even bother to ask for more. No, never mind that decades of basic and clinical pain research have found otherwise. Sorry Mr. H, Mr. Woe, Ms. Misery, but we have given you all you actually need and you’ll have to make do with what you get, or words to that effect. Fagin-like leer and grin is optional, but may garner favor with the Powers who are undisclosed. If community clinics have collectively acquiesced to this party-line, then that’s how it’s going to be. Too bad it’s going to get worse next month and next year because physicians have most of them been so astonishingly acquiescent and so very afraid that their extremely hard-won permission to help the afflicted may be taken away if they deviate from doctrine. OR….. The community clinics of Northern California might think about saying “no más!”, then apply sweet reason and scientific acumen to reacquaint MediCal and PHP with 40 years of scientific progress in the control of pain, and demand that they cease what is clearly arbitrary Rx rationing that contravenes the spirit and letter of the California Intractable Pain Treatment Act of 1990. More, that they should cease and desist from all micromanagement of medical care across the board, i.e., cease de facto practice of medicine by proxy under the false flag of “resource allocation”, and give up their usurpation of the centuries-long honored role of physicians as pre-eminent in the care and welfare of patients. There may be other pain specialty providers, in fact there definitely are, who will likely be much faster at accommodating Mr. H’s needs… Well, they may, insofar as numerous injection procedures and very brief office visits with zero-tolerance Rx compliance will help, until he is once again discharged back to primary care. Perhaps something is better than the nothing I can offer in the near-term future. What a superlative analysis, Dr. Gruber! Paindr.com thanks you for sharing your views and perspective with our blog followers. And, for the world to see, rather than including a short biosketch, we are hyperlinking Dr. Gruber’s undeniably impressive curriculum vitae in its entirety. Let’s get some guileless, frank, candid, open, honest, comments from our readers! Dictionary.com – A situation, problem, or the like, that is almost impossible to solve or to break away from. Also, tarbaby. Origin Expand after the tar doll used to trap Brer Rabbit in an Uncle Remus story (1881) of Joel Chandler Harris. Urban Dictionary – A dummy made of tar, which cannot be struck without getting oneself hopelessly stuck to it–from the story “Mr. Rabbit and Mr. Fox” by Joe Harris, as told by his fictional narrator, Uncle Remus. Tar baby has become short hand for a situation better avoided than confronted. Example; The issue of immigration has become a tar baby for president Gearge W. Bush. Wikipedia – Br’er Rabbit and the Tar-Baby, drawing by E.W. Kemble from The Tar-Baby, by Joel Chandler Harris, 1904. The Tar-Baby is a fictional character in the second of the Uncle Remus stories published in 1881; it is a doll made of tar and turpentine used to entrap Br’er Rabbit. The more that Br’er Rabbit fights the Tar-Baby, the more entangled he becomes. In modern usage, “tar baby” refers to any “sticky situation” that is only aggravated by additional contact. Thank you, Dr. Gruber, for addressing this very serious issue – for both patients and doctors. And thank you for continuing to do your best – within a system that is failing us all. What can we do to change/improve what has happened to health care in USA? I would like this to be what we focus on next. What a very sad mess this is all is. I didn’t know I was a “Tar-Baby”. What an awful concept to have of oneself or of another. Dr. Gruber is not taking new patients, I just checked. I am very disappointed after reading above. I’ve fallen into the artificial 100 ME/day abyss after moving to Santa Rosa, CA; only receive half of former doses, and now am house ridden. I have been a model patient but cannot seem to move laterally to another pain Dr. Attempted referrals simply fail to reply, or when pressed, actually lie about only seeing Occupational Disability patients. My question is, who would any of you recommend? Go to Dr. Thomas Keller at 1212 Farmers Ln., and tell him that Mark Titus referred you to him. He’s the beat Doc tjere is when it comes to compassion. Don’t you dare wait. It’s unfortunate that what is mentioned above is not an isolated case, but the norm. for pain control specialists. Truthfully it is even worse than what is described above. Chronic pain patients are among the most difficult to treat bar none. So many factors decide the treatment approach that every case is unique, requiring extraordinary amounts of time and thought to arrive at correct diagnoses and effective treatment. As noted above many patients have been inappropriately treated for years by the time they reach the pain specialist, if they are lucky enough to find one. These difficult cases are then dumped if you will on the pain doctors head as the referring doctor just doesn’t want to deal with it, nor spend the time and loss of revenue, or become a target on the scope of the DEA because the amounts of meds are high. In the case of medi-cal, the reimbursement is so low that most doctors are actually LOOSING money treating these patients in the office, then loosing the quality of their lives on their off hours spending hundreds of hours of time on paperwork, letters, forms, TARs etc. for which they rarely even receive a thank you!!! situation were reversed would they be so inclined to make this much sacrifice in their own lives? In the mean time the government continues to slash reimbursement, decimate formularies, and threaten doctors who are prescribing higher amounts of medicines that are appropriate and necessary for patient care. We are blessed if we are able to get a pain specialist to help us, and fight for our care, frequently when all other doctors refuse. Next time you see your doctor don’t forget to thank them for their exceptional work and sacrifice !!! So, when will the insurance industry complex be exposed for what they really are? They are the evil empire, in my humble opinion. I concur that corporate business and healthcare are toxic “bed fellows” indeed. As an experienced pain management nurse and pain advocate, I have always had that impression. Thanks to the suggestion of Myra Christopher, I am now reading the Politics of Pain by Wailoo and find that our history, the tension between our political parties and the irrational fear of any perception of socialism has done more damage than I had ever realized. I, too, recommend this read. I applaud Dr. Gruber for his frankness and hope that he continues to fight the good fight for those living with pain. Do not waiver and do not give in. We need more healthcare professionals like him to help save the soul of pain care and the morality of our society. Thank you Dr. Fudin for encouraging and sharing this blog. It’s so very sad to see both Texas and California — the first two states to pass these Acts — as the first two states to collude with the DEA and criminalize pain patients and their providers. If you look at the history of how pain was treated in the U.S., you can easily see how we took two steps forward and are now taking 10 steps back. Opioids aren’t the real problem… It’s all the other drugs that patients who are prescribed opioids also take, like anti-anxiety medications, muscle relaxers, anti-depressants, and alcohol, that are the real problem. Thank you once again Dr. Fudin for publishing Dr. Gruber’s letter. How frustrating it must be to be a physician these days! I am usually of the mindset of “what’s a patient to do?” but this letter puts in perspective of “what’s a doctor to do?” What are the answers? I am glad there are still a few doctors willing to stand up for their patients. I am living in terror right now, my primary doctor is pushing for a pain clinic, probably so she’s not under the gun, but from everything I’ve seen and read, it will be a repeat of the first 8 years of seeing her, a waste of time and money on drugs my body doesn’t respond to, PT that is only torture, and losing the only treatment that has helped at all. I am ready to push for euthanasia over losing what little life I now have. Insanity. When the medical community and patients band together, I’ll join in, guaranteed. Until then, there’s enough horror stories out there already. Healthcare is “Pray nothing happens,” insurance or not, if it does, why spend $$ on a doctor or hospital, as everyone is a “drug seeker”- totally dismissing looking for the cause & what to do about it gets ignored until the damage is too far gone for anything other than to kill the pain & that’s ignored as well! Stop saying the US has the best medical care in the world- no we don’t! I am a chronic pain suffer since 2001 when I was diagnosed with spondylolysthesis. Basically a slipped vertebrae. It’s a 50% slip in ’01 and 75% in ’02 when they operated. I was told I would be in a wheelchair if I didn’t do surgery. I think the year long delay is responsible for my pain. I was sent to a pain management doctor by my PCP about 8 yrs ago. During the last year they have been denying the referal requests. I was lucky for two months, no referal issues. Then I got declined. Why? Because the referrals were only available while the pain was being managed with meds. Once it no longer worked, I needed to see my PCP again. So I walk in, tell him what it said, he sends me a new referal to go to pain management doc. WHAT? Who’s better to determine my issues than a pain management doc who specializes in spines? He installed my spinal cord stimulator, he’s given me all the test and diagnoses. It’s insanity to me. It has caused me so much stress, I’ve been sick for 6 months, including pneumonia. No one is trying to cure me, no one wants to solve the problem. I’ve been told a morphine pump would take away my pain. But imagine getting it now. I’ve been disabled since 2001. I was getting a good salary beck then as a computer programmer. Had they just given me the pump then, I’d be working. I couldn’t work as a programmer now, times have changed in the field. The insurance companies haven’t helped my life, they’ve ruined my life. This is a fantastic read! The cookie-cutter approach DOES NOT WORK and the government DOES NOT GET IT and DOES NOT CARE. Thanks so much for sharing this with all of us. I felt like I was writing the email myself as this is how the entire medical/political travesty has made me feel. I just want some ability to function in a fashion I used to. Between the RLS / Interstitial Cystitis / Fibromyalgia , and numerous other chronic issues, I am eternally frustrated when all I feel like I can do is lay on the couch and wish I didn’t have to live through another day of feeling like this. The latest and best news I have received was that my family doctor, the one who originally saw me for everything, will no longer prescribe my Ritalin. I take about 90 per year. Yes, per year. I have wrecked my car twice in four months now and I know this is an ADD casualty. I never understood why it was a scheduled medication in the first place, because all it did for me was allow me to pay attention and calm down. Now I am likely to take out a family of four because my family doctor lied and said, “We don’t believe in prescribing those to adults anymore”. Sorry for the good doctor’s frustration (the one who wrote the email), but it is nice to know we are not alone. Normally I would end this with my allegiance to the “Kentucky Pain Care Action Network” or the page I co-founded, “Opposition to Kentucky HB 1-Reform HB 217 aka “Pill Mill Bill” ” But I have severed all ties with these organizations on moral grounds. This is such terrible news as I am hoping to find some relief from a new doctor. I have even changed my medicare to see this doctor. I am in so much fear and pain. I’m just tired of it all now. Thank you for your account of what is really happening. I just makes me even sadder though. Thank you for understanding and sharing. The one dose does not fit all. For me that would be giving up what little movement I have left. Many clinics force patients into procedures to boost their income. What you do is appreciated by all. Thanks for sharing , pain sufferers everywhere appreciate doctors like yourself. When you think things cant get any worse try watching ” The Knick ” and the problems Dr. Thackery had trying to keep his head above water and his patients alive. Lets hope we don’t regress to 1903 and the ways of the Knickerbocker hospital, fictional yes, but believable for the present day of how things could come to be. Thanks for this thoughtful post. You describe what many us with chronic pain experience. Thanks additionally for our doctors side of this. I fear my doc may become so fed up with the extra paper work we, his pain patients, generate on any visit. I was told just that very thing by my provider (that he had “become overwhelmed by the paperwork”) when the laws were changed in the state he was located. I was an employee there for over 25 years, Director of Medical Records, and his patient for ten or so of these years, upper management, and an impeccable record with the organization. None of this mattered in the slightest. I had not had to find a new doctor for all the time I had been employed there and suddenly I was out on my own as far as my growing list of chronic pain conditions in an environment that was very apprehensive about giving new patients controlled substances. He actually informed me that the healthcare facility did not want to assume any litigious responsibility with the vague interpretations of the new law, so they elected to only give controlled medications for acute circumstances and I would be “humanely weaned off my pain medications and sleeping medications” Later, I got the bad news about the Ritalin and how they, “don’t believe in treating adults with these meds anymore.” I won’t call it what it really was, but I think to say it was less than truthful is no stretch. My pain doctor, whom I’ve been seeing for well over a decade now, has to repeatedly submit to the indignity of a peer to peer review of his recommendations for me. Because somehow a physician who lives half a country away from me and has never met me and who has only the barest acquaintance with my medical history knows better than he does what should be prescribed to me or what procedures I do and do not need. On behalf of all chronic pain patients everywhere, thank you Dr. Gruber!